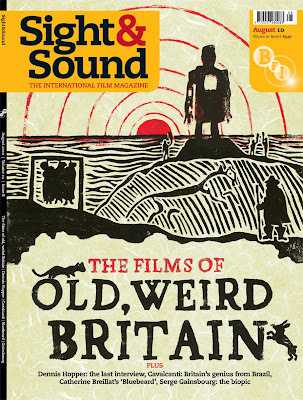 I was asked to design this cover for the August issue of Sight & Sound magazine, which is all about how British film makers have drawn inspiration from ancient British folklore and myth, as well as from the landscape of the British Isles. Unsurprisingly, the main focus was The Wickerman, but also The Witchfinder General and the work of Derek Jarman amongst others. It was a great project to do, and good practice in working to short deadlines! The issue will be out on the 6th July.